Work is ongoing at Blackburn Old Cemetery, as part of a project to make the historical site a safer and more attractive location. 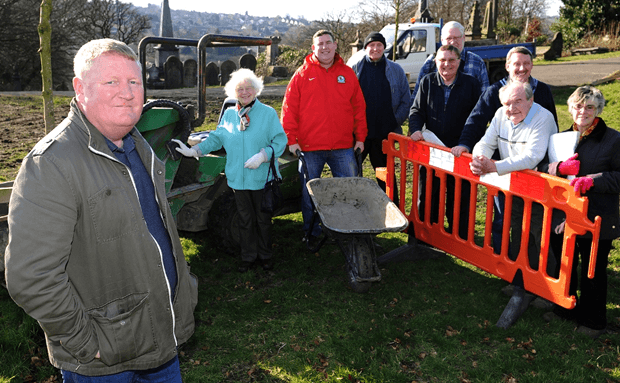 Friends of Blackburn Old Cemetery worked with the Greenspace Development Team at Blackburn with Darwen Borough Council to secure money to carry out the work, under s106 funding. Actions agreed under s106 money include resetting stone steps within the cemetery, new benches, topping up graves and new information and notice boards. Brent Stevenson has also generously supported the project, including in the design and construction of the central memorial garden, a granite bench, and safety checks on all upright grave stones.